We’ve tested more mice, keyboards, headsets, and gear in 2014 than ever before here at Nerd Reactor. With the year coming to a close and CES just around the corner, we’re taking a look back at our favorite that we still love and use throughout our gaming careers. All of these products received top marks from our reviewers. Dividing this into five categories, let’s take at look at the best of the best; our top 10 of 2014. These aren’t dated to any degree and are still awesome buys throughout all of next year. Look out for sales on these. Yet again, not all great gear has to come with a massive price point. 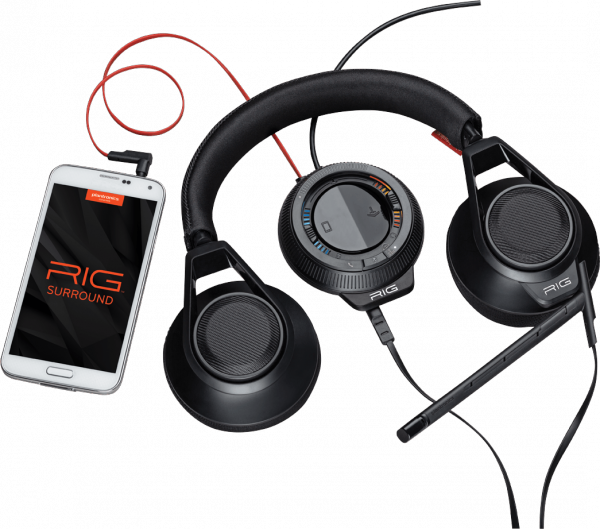 Plantronics has made it cheap, easy, and convenient to upgrade your experience into 7.1 surround. This headset has been my go-to for console gaming as well as classical music. Yup, you heard that right, when it comes to pitch and tone calibration, the Rig’s amplifier settings allow you to customize your listening experience depending on current circumstances through the push of one easy button. This isn’t a wireless option, but everything offered for a price tag of about $100 make this our top contender.